A couple months ago, I had the pleasure to geek out meet Drs. Katie Rodan and Kathy Fields of the eponymous Rodan + Fields (the creators of Proactiv amongst other skincare lines, and my lifesavers in college). 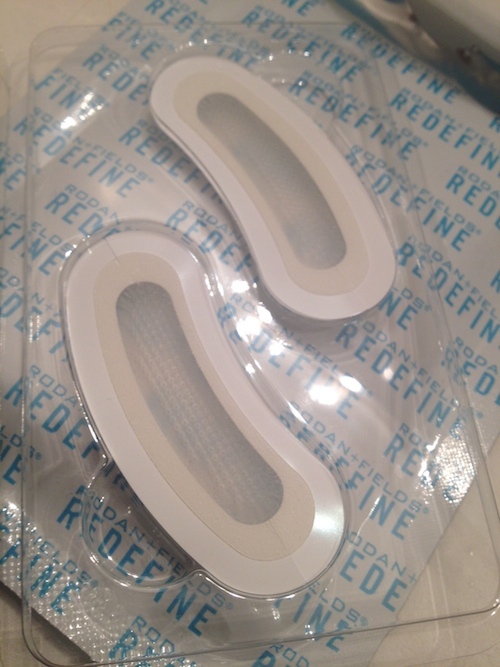 The duo revealed their latest to us, and their latest by the way is a pretty amazing breakthrough in the anti-aging realm: REDEFINE Acute Care Skincare for Expression Lines…a really long name to describe their patch alternative to Botox and filler injections. These patches go on like a band-aid and contain the stuff you get at the doctor’s office, like skin-plumping hyaluronic acid and anti-aging peptides but without a needle. You just place the patch on your expression lines — wherever they may be, including smile lines, crow’s feet, marionette lines — and let them sit overnight. The patches target the lines and through their little microscopic ‘liquid cones,’ settle into these areas for smoother skin. The mini-cones are extremely potent. I’ve been trying them myself to soothe the (albeit very minimal semblance) of smile lines, and I noticed a big difference with just a few pairs. They do feel very weird when you first try them, like tiny, tiny needles which I didn’t expect. But those completely “melt” into the skin by the morning. Their studies have also showed them that after four-weeks of use (3x a week), there was significant improvement, but what’s more is that they found only MINIMAL return of lines after another 8 weeks after. So the results are supposed to visibly last for a while. It’ll cost you a pretty penny though — 10 sets (1 pair per set, so that’s 20 individual patches) will run you $220, but considering that it rivals in-office injections that you can use in the privacy of your home and doesn’t involve a needle, it’s comparatively a lot more affordable. Comparatively. I’d say if you are starting to get concerned about expression/fine lines, this could be the first place to try before going for more extreme procedures. It launches next month! I found delicious ways to keep my energy levels ups and snacks close by at works. Here are a few that have been helping me get through the day. 1) Blueberries. I’m obsessed. I eat them by the handful. Not only are they loaded with antioxidants, they’re good for the brain and heart! I just wanted to add I JUST got this collapsible eco-friendly meal kit from Smart Planet and it’s the most genius thing ever. 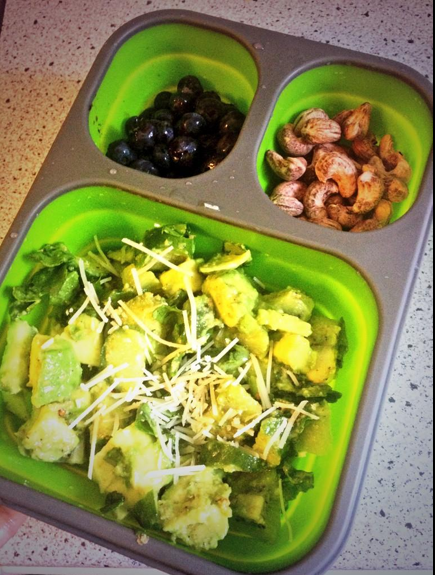 It has the perfect portion for my main course, and two more compartments for snacks/sides. It’s microwave/dishwasher safe. It’s collapsible, so it’s easy to store once you’re done eating. It even has a condiment/vitamin space in the lid and a reusable spork utensil that stores underneath the lid. They basically thought of everything, and it’s been my new lunchtime savior ($9.99, smartplanethome.com). 2) Cashews. 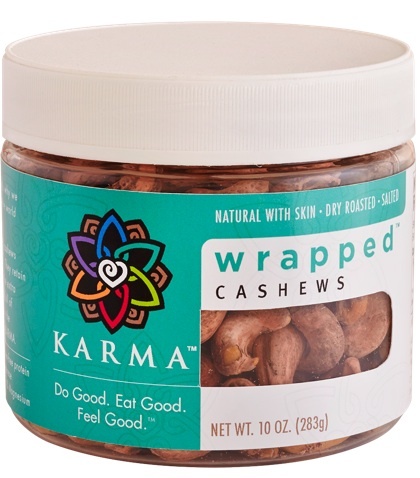 As you can see above, I have a whole compartment filled with nuts from Karma. My favorite kind are their wrapped cashews. They retain their natural skin so they taste a little more toasty, but it has twice the fiber as regular cashews. They add just a tiny bit of sea salt for flavor, but otherwise it’s minimally processed ($12.50, karmanuts.com). 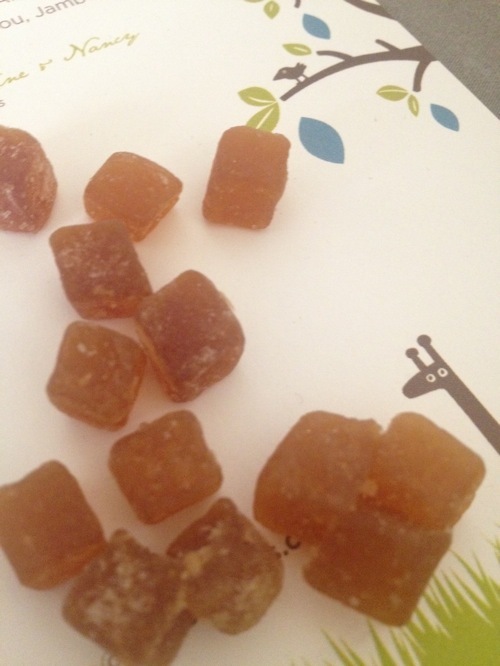 3) Bonga Baobab Superfood Chews. I’m saving the best for last here. My roommates and I are officially addicted to these healthy snacks. I actually can’t believe they can taste so good and still be good for you. They’re are made from the baobab fruit, a wild-harvested superfruit from South Africa which is rich in antioxidants, naturally rich in fiber and vitamin C, and has high alkaline, potassium, magnesium, and electrolytes. Basically the best answer to your gummi bear addiction. What have you been noshing on lately? My technology woes continue. 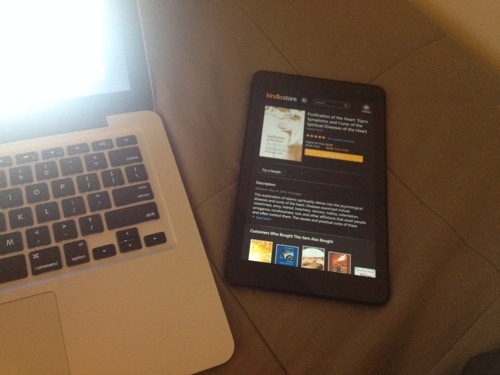 For a blogger, I’m pretty behind in my everyday tech. My laptop is probably from ’08, I JUST now got an iPhone (it’s not even the latest one, but still an upgrade from another cracked smartphone I was carrying around and was relentlessly teased about from my friends to Mally Roncal). If it works, that’s all that matters, but I can still admit, it isn’t a good look. 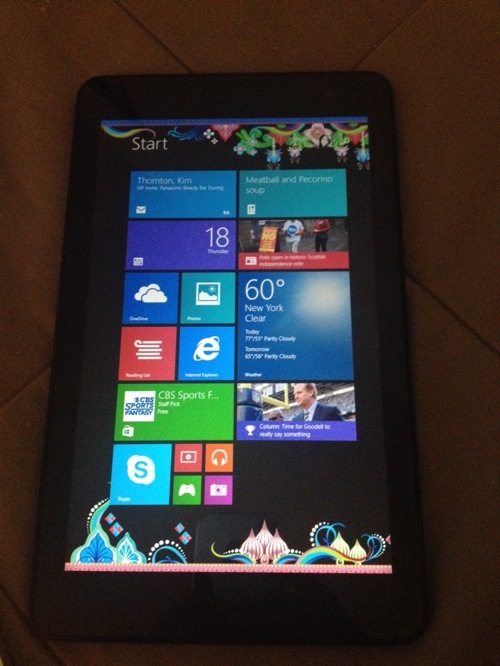 As I mentioned previously, Intel reached out to me to let me experience their Dell Venue 8 Pro tablet. It’s super lightweight, and sleek and I almost feel, too pretty for me to own. I don’t think I realize how much I’m on-the-go until I started carrying it around though, which is so easy because of how teeny tiny it is. Whenever I pack to travel, it’s the worst trying to get my clunky laptop. Now I have something that not only fits in my purse, it’s something I can use on the plane. It’s actually bailed my friends out a couple of times too when they needed an extra device to work on in a cafe, or when they come to visit (my friend Qareena just used it last night to do her math homework with :)). It’s much faster than my computer, and they loved the sleek interface. Needless to say, it’s going everywhere with me now. I’ve been using the Kindle App to stay on top of my reading, and I’m going to attempt real-time food blogging with it — will keep you posted on that. Any of you try it? What would you use a tablet for? Share your thoughts below! I’m required to disclose a relationship between the site and Intel. This could include the Intel Corporation providing me with product. These stats are pretty staggering, but it’s been the basis of Philosophy’s new No Reason To Hide confidence campaign. I’ve pretty much taken their challenge to try out their new products and see if it’s made a difference (spoiler alert: it has). I wrote about them before here, but to reiterate: their No Reason to Hide Multi-Imperfection Transforming Serum and accompanying Instant Skin-Tone Perfecting Moisturizer with SPF 20 work together to treat skin concerns such as blotchiness, enlarged pores, dark spots, and acne marks. Taking it with me on my travels! Since I’ve started using it a month ago, I’ve seen a big difference. In fact, I’ve only been using their tinted moisturizer in the morning alone (it gets extra points for having SPF in it!). Even though great skin is a big factor in boosting confidence on the outside (mine’s always a work in progress), Philosophy knows that confidence isn’t only about appearance. • 1 grand prize: $2,500 Ann Taylor shopping spree, a year’s supply of No Reason To Hide and Philosophy fan favorites. 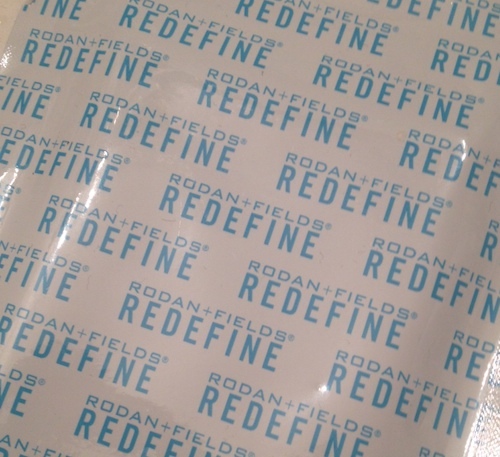 • 5 runner ups will receive a Philosophy cleanse, peel, treat package. • 10 winners will receive No Reason To Hide serum and perfecting moisturizer. 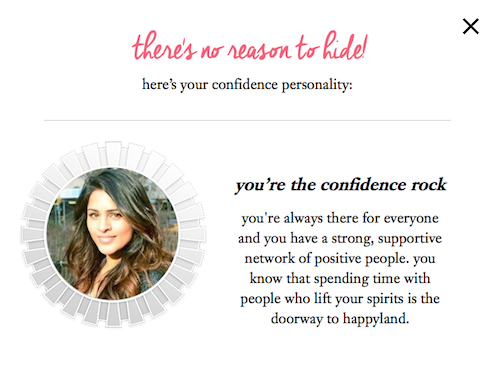 Check it out and feel free to share your most confident moments below, or what your confidence personality turned out to be! Post is spons by philosophy. All opinions expressed are true and content is my own. 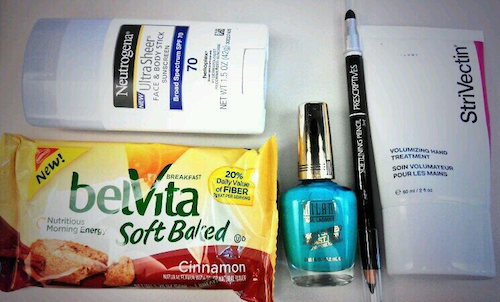 Breakfast/Brunch - FOOD - "The Delicious"
Belvita unveils their #MorningWin Swag Shop & you can win! 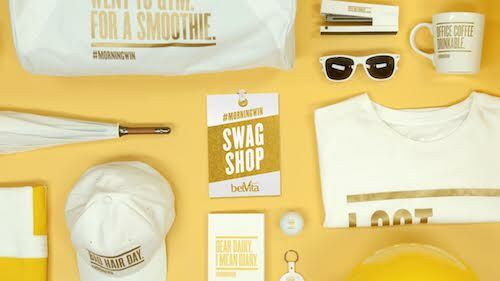 Today, Belvita, who make breakfast bars that I stock up on at work to have whenever I missed breakfast, unveils their new #MorningWin Swag Shop from now until Sept 19th with the coolest things to win (seriously go there right now, they’re giving away a tablet! morningwin.com). In celebration of a #MorningWin, mine today started with getting enough sleep for once, and waking up early enough to pack my own lunch (a rarity) ,and also finding a moisturizer I lost the night before in a box of fruit snacks…because that’s how creative I get when it comes to losing stuff. And also, who loses moisturizer? Anyway, morning wins all around. To win some swag yourself and get your own #MorningWin, all you have to do is follow them on twitter at @Belvita, and when you see a piece of swag on their site that you want to get in on, tweet #MorningWin and that prize’s specific hashtag (you’ll find that on the site too!). But seriously, if you haven’t tried the bars, go get some. I keep them handy at the office after I learned about it being a healthier breakfast bar option with 19 grams of whole-grain, 5 grams of fiber, and B vitamins. Check em out, and good luck winning some swag! Philosophy’s new No Reason to Hide products are EVERYTHING. 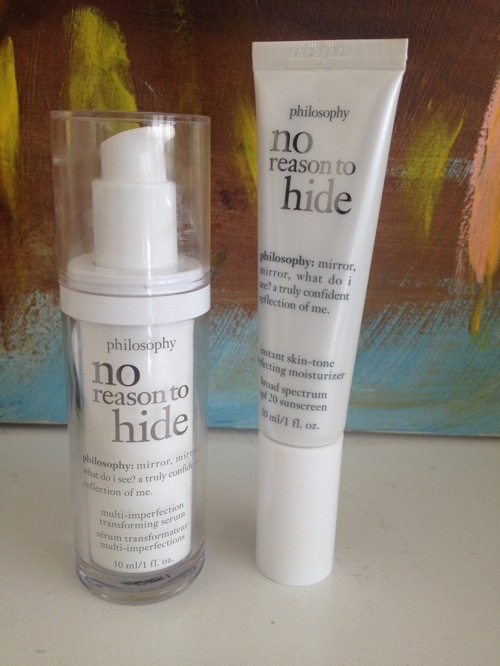 Philosophy's new No Reason to Hide products! On the same thread, Philosophy is now on a confidence campaign. What does that mean? It’s a two-prong approach to A) try out their new products and see the difference it makes when you look in the mirror, but also to B) really reflect on what moments make you feel the most confident on their inside. So I did both –more on this in a minute! The serum contains a mix of niacinamide (vitamin B3 which helps eliminate dark spots), vitamin C (a powerful antioxidant), and salicylic acid (to shrink enlarged, darkened pores), and the moisturizer is kind of like a BB cream with is light tint (comes in light and medium for now but they will be rolling out more shades soon!) which also contains some of the same ingredients as the serum to also treat while it lightly conceals. I’ve been using them for almost a month now, but in less than two weeks I could already tell a difference. 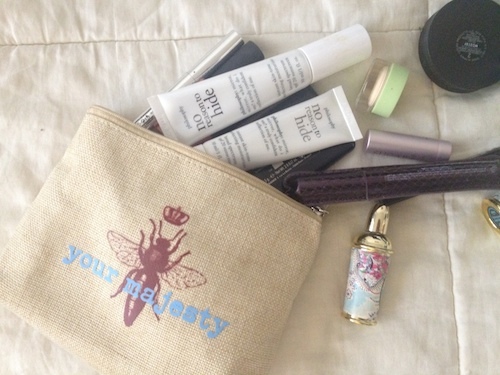 The serum is lightweight and brightens, and the moisturizer is my favorite for its instant gratification. 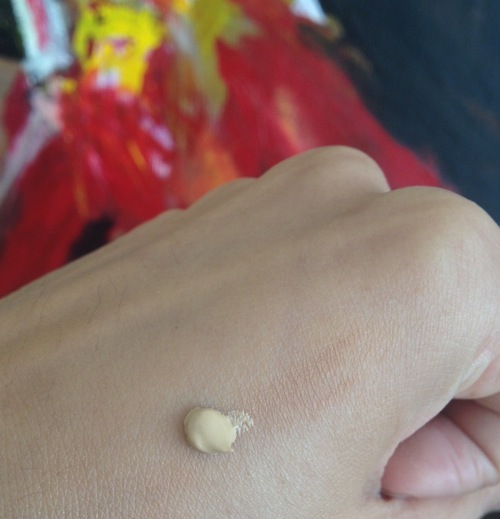 The medium shade is perfect for my skin and I’ve since foregone all foundations on the daily so what you see is mostly my own skin showing through. I seriously can’t stop touching my skin. *This post is sponsored by philosophy. All opinions expressed are true and content is my own.